The first purpose of the Blender Open Data project is to host Blender Benchmark results. We are currently in Beta phase and we would love to hear your feedback! Please fill in the form. Thanks! Join the discussion on devtalk.blender.org. nick block (nickblock) added a comment to T60565: No button to start benchmark. Brecht Van Lommel (brecht) closed T60918: Missing errormessage/ check for missing library (libGLU) as Archived. Thanks for the report. We have recently removed the dependency on the GLU library entirely, so future versions of the benchmark will work fine without it. N. Schwirz (Mr_N) created T60918: Missing errormessage/ check for missing library (libGLU). Francesco Siddi (fsiddi) moved T60565: No button to start benchmark from Backlog to Benchmark Client on the Blender Open Data board. Francesco Siddi (fsiddi) assigned T60565: No button to start benchmark to Sybren A. Stüvel (sybren). Assigning to Sybren for now. We have to discuss further how to handle the case, since it can't be easily reproduced on our machines here AFAIK. Jacques Lucke (JacquesLucke) raised the priority of T60565: No button to start benchmark from Needs Information from User to Needs Triage by Developer. Jacques Lucke (JacquesLucke) updated subscribers of T60565: No button to start benchmark. Zsolt Stefan (zsoltst) added a comment to T60565: No button to start benchmark. Jacques Lucke (JacquesLucke) triaged T60565: No button to start benchmark as Needs Information from User priority. Could you make a screenshot, please? Zsolt Stefan (zsoltst) created T60565: No button to start benchmark. Sybren A. Stüvel (sybren) changed the status of T57191: server 503 blender open data full benchmark from Archived to Resolved. Thanks for updating us; marking as solved. 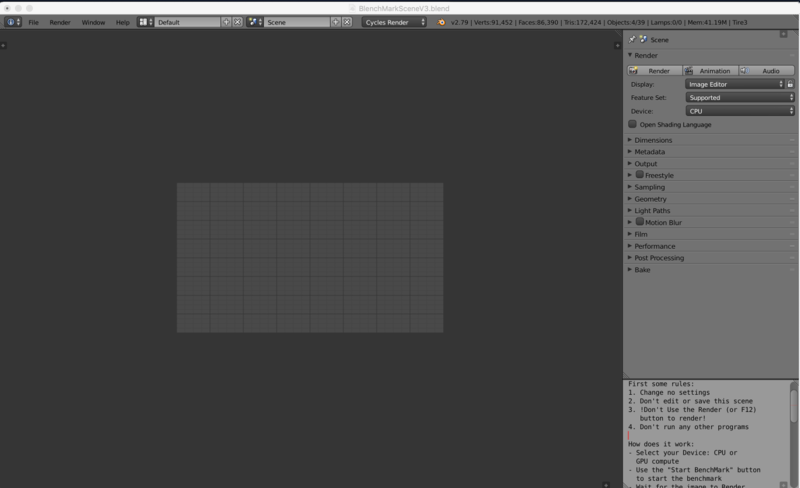 Sybren A. Stüvel (sybren) closed T57191: server 503 blender open data full benchmark as Archived. Flor Guilini (Fl_GUI) added a comment to T57191: server 503 blender open data full benchmark. Unfortunately my system changed since this bug report, I switched back from linux to windows 10. I just ran the quick CPU benchmark and publishing resulted in the same error. BUT when I refreshed the browser tab I was met with some nice bar graphs and the shocking realisation that my render times are twice the average. Sybren A. Stüvel (sybren) merged T56406: Open Data Submission is not showing up under "Your Data" into T56329: MacOS benchmark client misses SSL module. Sybren A. Stüvel (sybren) merged task T56406: Open Data Submission is not showing up under "Your Data" into T56329: MacOS benchmark client misses SSL module. Sybren A. Stüvel (sybren) renamed T56329: MacOS benchmark client misses SSL module from Error submitting results: Max retries exceeded to MacOS benchmark client misses SSL module. Sybren A. Stüvel (sybren) added a comment to T57191: server 503 blender open data full benchmark. This should be resolved now, can you try again? Laurence Yates (notbyhalf) added a comment to T56329: MacOS benchmark client misses SSL module. Experiencing the same error here. 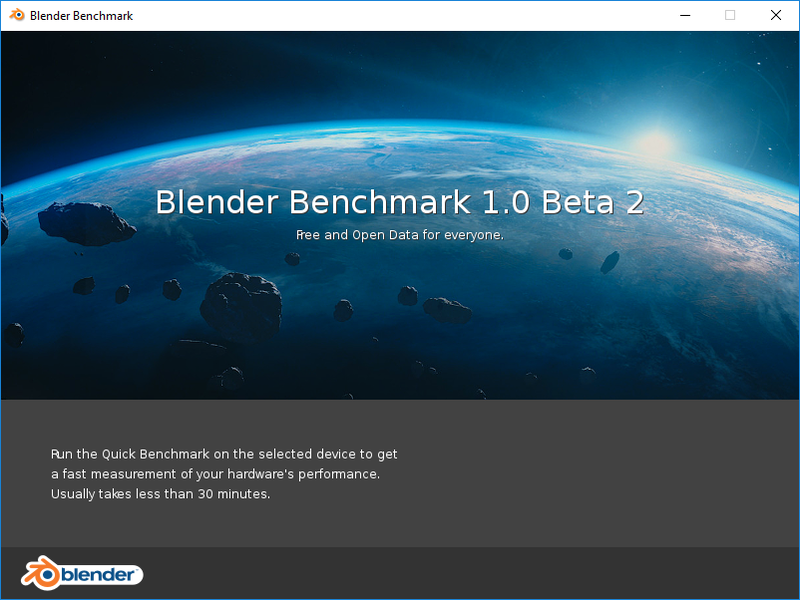 macOS High Sierra 10.13.6 with Blender Benchmark 1.0beta2. Brecht Van Lommel (brecht) added a comment to T57486: Unable to connect to the open data platform.. There is an issue with the macOS benchmark, will be fixed in the next update. Brecht Van Lommel (brecht) merged T57486: Unable to connect to the open data platform. into T56329: MacOS benchmark client misses SSL module. Brecht Van Lommel (brecht) merged task T57486: Unable to connect to the open data platform. into T56329: MacOS benchmark client misses SSL module. Valerio Liberati (Valerio_Liberati) added a comment to T57486: Unable to connect to the open data platform.. I didn't know I couldn't. Antonio Vazquez (antoniov) raised the priority of T57486: Unable to connect to the open data platform. from Confirmed, High to Needs Triage by Developer. Please don't change priority yourself. Valerio Liberati (Valerio_Liberati) triaged T57486: Unable to connect to the open data platform. as Confirmed, High priority. Francesco Siddi (fsiddi) renamed T56306: Customizable dashboards from Sortable Charts in landing page to Customizable dashboards. Francesco Siddi (fsiddi) added a comment to T56302: Sample Comparison. This is now partially implemented (when viewing a result, we can compare with the average). Francesco Siddi (fsiddi) triaged T57337: UI: Improve presentation of raw data when viewing charts as Normal priority. Roman Gischig (rgischig) added a comment to T57191: server 503 blender open data full benchmark. Roman Gischig (rgischig) added a comment to T56443: Blender Benchmark - multi socket CPU setup does not allow to run the benchmark. Flor Guilini (Fl_GUI) created T57191: server 503 blender open data full benchmark. austin meyers (mchmnd) added a comment to T56329: MacOS benchmark client misses SSL module. Same here. We're seeing this on our production builds at 10.12.5 and our beta builds at 10.13.6 tested across iMacs, Mac Pros and MBPs and iMac Pros. error report attached. Franck Martin (FranckMartin) added a comment to T56329: MacOS benchmark client misses SSL module. Sean Maffucci (seanradio) added a comment to T56329: MacOS benchmark client misses SSL module. Brecht Van Lommel (brecht) merged T56806: can not upload the benchmark result on macOS into T56329: MacOS benchmark client misses SSL module. Brecht Van Lommel (brecht) merged task T56806: can not upload the benchmark result on macOS into T56329: MacOS benchmark client misses SSL module. Brecht Van Lommel (brecht) triaged T56329: MacOS benchmark client misses SSL module as Normal priority. Krisztián Szabó (exploding) created T56806: can not upload the benchmark result on macOS. Francesco Siddi (fsiddi) updated subscribers of T56302: Sample Comparison. Addressed feedback on the implementation in the wip-compare-results. Can we have another round of feedback and merge this @Sybren A. Stüvel (sybren)? Francesco Siddi (fsiddi) triaged T56730: Improve error reporting when deleting samples in My Data as Normal priority. Francesco Siddi (fsiddi) triaged T56694: Alphabetical sorting of query results as Normal priority. Sybren A. Stüvel (sybren) triaged T56594: Auto-cleanup of old Open Data downloads as Confirmed, Low priority. Sybren A. Stüvel (sybren) closed T56476: Strip '(Display)' from device name as Resolved. Francesco Siddi (fsiddi) closed T56320: Downloadable Dataset as Resolved. The data is accessible via https://opendata.blender.org/raw-data/. Brecht Van Lommel (brecht) merged T56480: Interface Call-To-Action Buttons missing into T56443: Blender Benchmark - multi socket CPU setup does not allow to run the benchmark. Brecht Van Lommel (brecht) merged task T56480: Interface Call-To-Action Buttons missing into T56443: Blender Benchmark - multi socket CPU setup does not allow to run the benchmark. Sybren A. Stüvel (sybren) added a comment to T56476: Strip '(Display)' from device name. Sergey says it's important to have the display/non-display info in there, so simply stripping is not an option. Daniel Houghton (dhoughto) added a comment to T56406: Open Data Submission is not showing up under "Your Data". Francesco Siddi (fsiddi) added a comment to T56492: Search code problem on OpenData.Blender website. We definitely plan to provide some more in-depth metrics for certain results. Check the rest rest of the work board to get an idea of what is coming next. In particular T56478 and T56323 will (at least partially) address your question. For the rest, there's T56320.